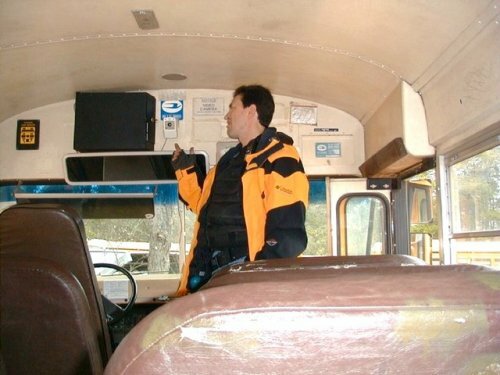 A 3rd party contractor installed this SW school bus video or vehicle camera system on the side on the bulkhead. Notice how close the camera is to the door of the lock box. We were unable to remove a tape without unbolting the camera. Typical of the kind or work some 3rd party installers do, as they do not use the systems, they do not have a feel for what is required to make the system workable. Some are only concerned with support until the check clears.